Practical as it is pious, witty as it is wise, this collection of counsels not only helps educators in school or at home meet Catholic girls special intellectual needs, it offers sage strategies for whole-person formation: showing us how to help our girls grow into virtuous Catholic women. Catholic girls among other girls, writes Mother Stuart, and Catholic women among other women, have the privilege as well as the duty of upholding what is highest. The Education of Catholic Girls will help you teach your girls whether through math and science, needlework, Catholic philosophy, or good manners to uphold what is highest; it will help you train them to live a perfectly honorable and fearless life. 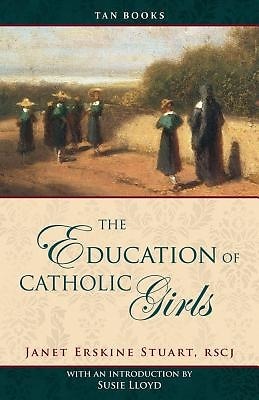 This centenary edition of The Education of Catholic Girls features English translations of the original s foreign phrases and quoted sources (Mother Stuart s presumption about her readers knowledge of Latin, French, and German points to something education has lost over the years), as well as a new preface by Catholic homeschooling author and speaker Susie Lloyd.